The past few days have felt like total face and chest demolition in my body. Out comes the tree pollen and on comes to woe, with enough liquid leaving my face that I spent most of the weekend essentially blind. I feel like I’ve been in a demolition derby, and no one has told the other drivers that it’s over yet. “Heretical Anatomy,” the debut full-length from Canadian death maulers Abyss makes me feel similar. Their music—fast and sudden—blisters you like one of those out-of-control, beaten-to-hell cars, and the way your body will feel after confronting these eights songs won’t make you feel at the height of health. Most of these cuts are in and out in three minutes or less, making it feel like a compact, well-oiled blast of gritty, grinding death metal that’s fully satisfying and also hellaciously put together. This sounds like death metal that came creeping out of the U.S. and U.K. in the early 90s, only informed with modern-day distastes and disgusts designed to make the music as violent and furious as humanly possible. 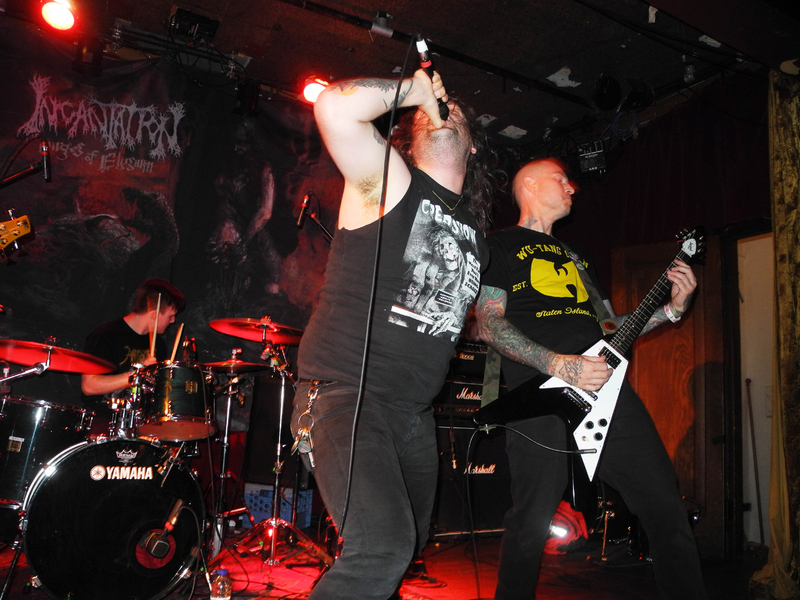 While still a relatively new unit (they formed in 2009), the members of the band have had experience with other destructive units such as Slaughter Strike, Fragile Existence, Lgeion666, Rammer, and many others. Far as we can tell, the band’s members go mostly by simple first names, with David Kristiansen on vocals; Jason and Ethan handling guitar work, quite capably, might I add; Rob on bass and backing vocals; and Max behind the drum kit. 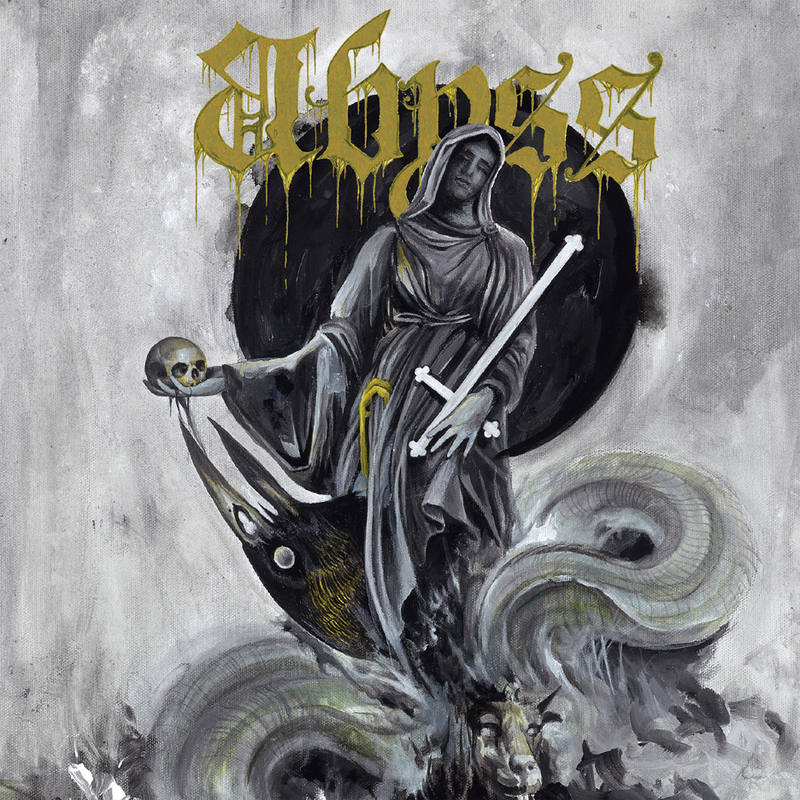 If you follow the marching orders of any of the members’ aforementioned bands, as well as units such as Bolt Thrower, Entombed, Extreme Noise Terror, early Napalm Death, and Axis of Advance, chances are this album is going to be right up your bloody alley. The first strike comes from the title cut, complete with a weird, alien first few seconds before the song tears apart and begins storming hard. The pace is wild and out of control, with Kristiansen’s vocals aiming to maim, the soloing sounding fiery and inspired, and the rest of the troops putting the boots to your chest. “The Atonement” is fast and thashy, with gravelly vocals, lead guitar work that sears, and a vicious ending grind that leaves you in the dust. “Chained to Extinction” is a quick one at 1:40, wasting no time moving forward at a lightning pace and bringing everything into the heart of demolition. The song is fast and guttural, and it takes you right into the mouth of 52-second scorcher “Flesh Cult” that is absolutely seething and does its damage at a breath-taking clip. “Prophecies of Churning Horror” is punchy and agitated, with the band motoring ahead with zero regards as to what’s in front of them, with the vocals painfully delivered and always gripping. The song ends rather abruptly, paving the way for “Atavistic Decay,” a crunching, stomping mauler that bristles and looks for flesh to grind up. Kristiansen’s vocals are gritty and gruesome here, with the soloing barreling out of the gates and the tempo remaining fast and mean. “Thrall of the Elder Gods” is the longest of the bunch at 5:37, beginning in a murky, doomy cloud and trudging at a calculating, brutal pace. Things eventually get rowdier, with a long section of guitar work adding color, great fires burning and coating your lungs with soot, and a conclusion that sounds both clobbering and insulting, as Kristiansen first clears the blood and mucus from his throat before laughing maniacally. Finisher “Nightmares in Skin” makes the best of its 1:43, bringing down the final remnants of the walls around you with its thunderous assault and outright commitment to total destruction. “Heretical Anatomy” might not be the longest record of all time, but sometimes less is way, way more. In the case of Abyss, they took the time and care to pack as much vitriol into this eight-track package to last you years, and if this music isn’t enough catharsis for your bruised, wounded psyche, perhaps medication is in order? Abyss don’t strike me as a band trying to score style points or one that hopes to do things as smoothly as possible. Those rough edges and reckless abandon are part of what make this band as vicious as it is.